The franchise was a kind of lifestyle for a whole generation, even though it remains difficult to understand why someone gets excited about shiny chrome. The film series was also something like James Bond, in the sense that every sequel is a guarantee for success and that every Hollywood director wants to direct an episode. 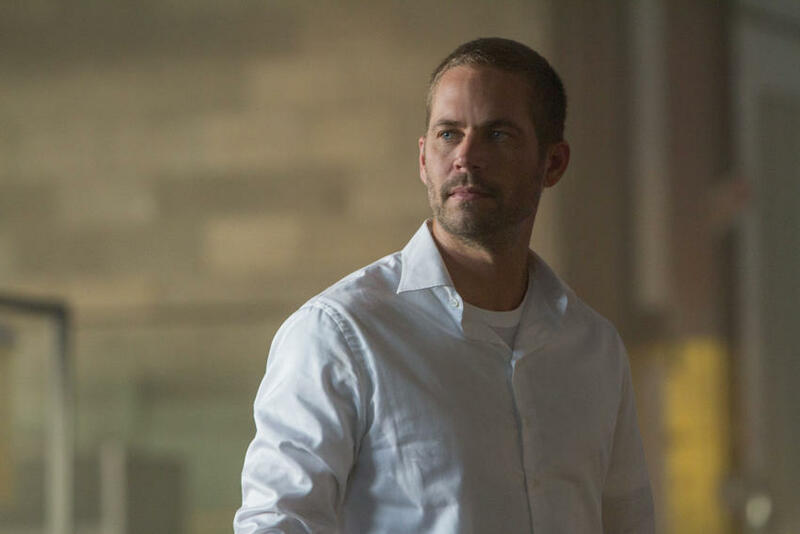 The announcement that James Wan was the new director, let some eyebrows frown, but this mystery was quickly overshadowed by the tragic death of Paul Walker on 30th November 2013. The street car icon crashed against a tree as a passenger in a Porsche car. How more tragic (or is it cynical?) cqan it be? Everyone was confused, because how to continue if you’re in the middle of a very expensive film and your main actor dies? There were many options. Some said it was better to stop the whole thing, but eventually the whole crew decided to continue. 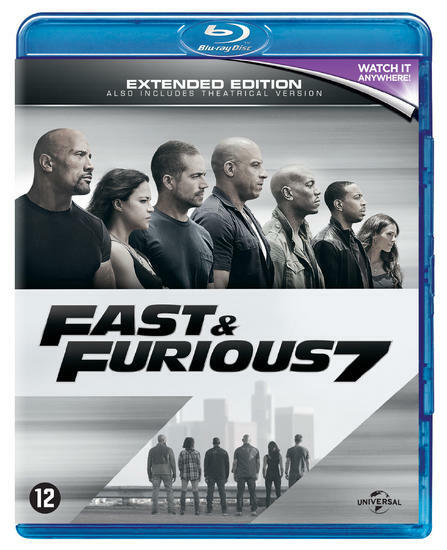 Officially because "Paul Walker would have wanted it that way", but everyone knows that the real reason is that the makers could still gain lots of money with this franchise. 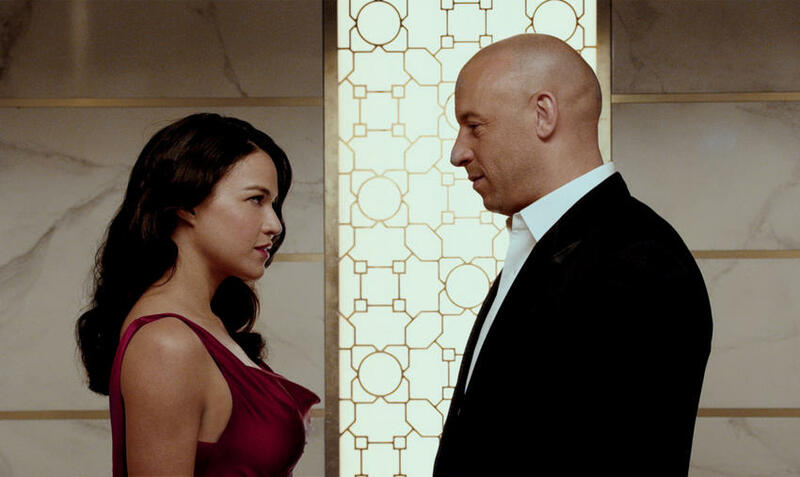 And let us be honest, Vin Diesel will never end up in a bigger movie than this! Of course you notice at the end that Paul Walker’s face is no longer in close up an that old images were used and altered, but the result remains astonishing. It is indeed strange to see that an actor doesn’t have to be alive to star in a Hollywood production. Everyone knows that the Fast & Furious fans attach little importance to the story. They want to see fast cars, pretty chicks and the most insane stunts. That seems simple on paper, but in reality it's a hellish job for the creators, because every movie has to outdo the previous one. 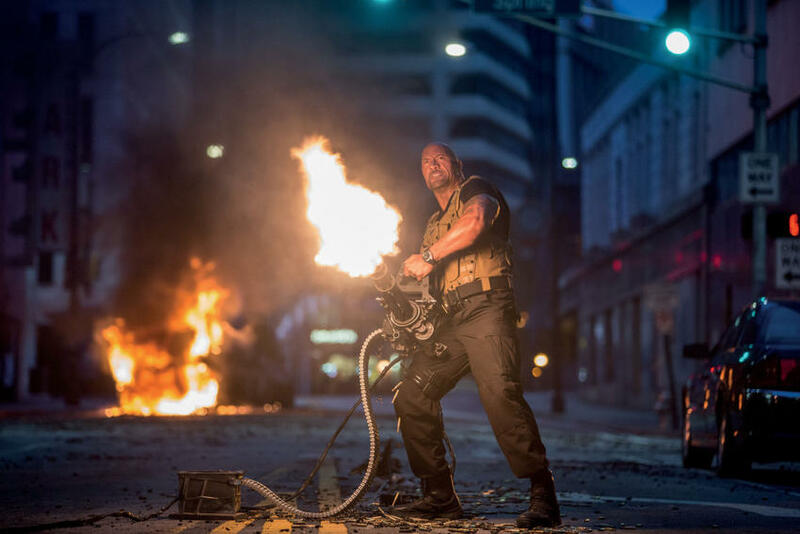 James Wan may have been a risk, but in the end he has given the producers what they were asking for, as this seventh sequel is probably the best when it comes to stunts. You have to accept that cars can fly or that they simply drive from one building to another (in the air!) without falling down! 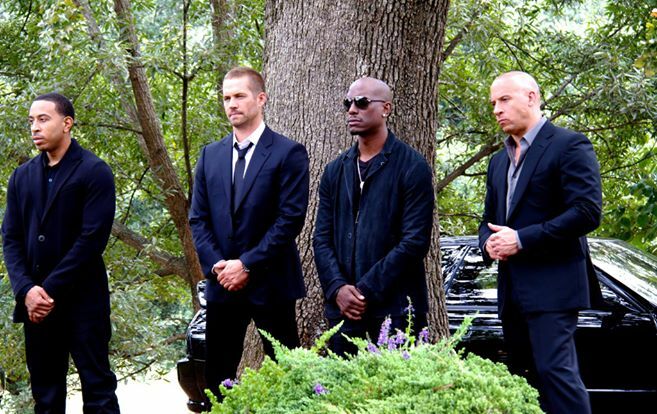 Dominic Toretto (Vin Diesel) and Brian O'Conner (Paul Walker) want to put an end to their wild life. 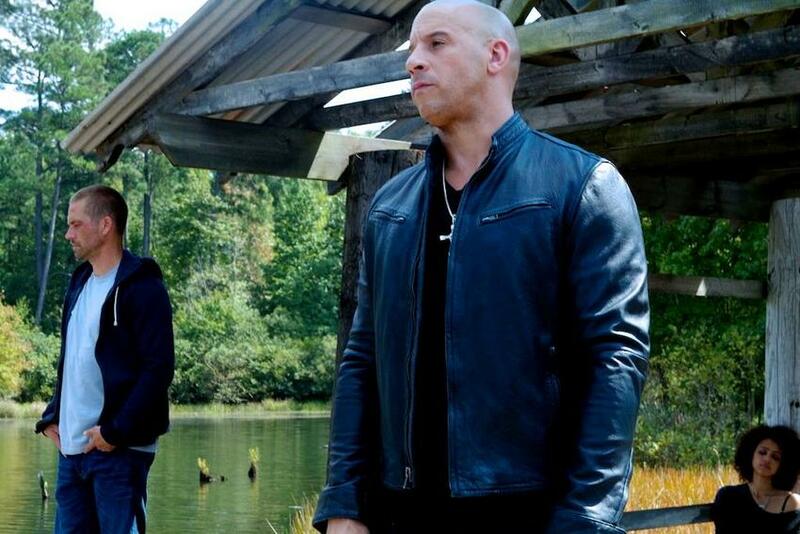 Dominic is seeing his girlfriend Letty Ortiz (Michelle Rodriguez)again, who has amnesia and doesn't even know that she was behind the wheel once, while Brian dreams of a family life with Mia Toretto (Jordana Brewster). 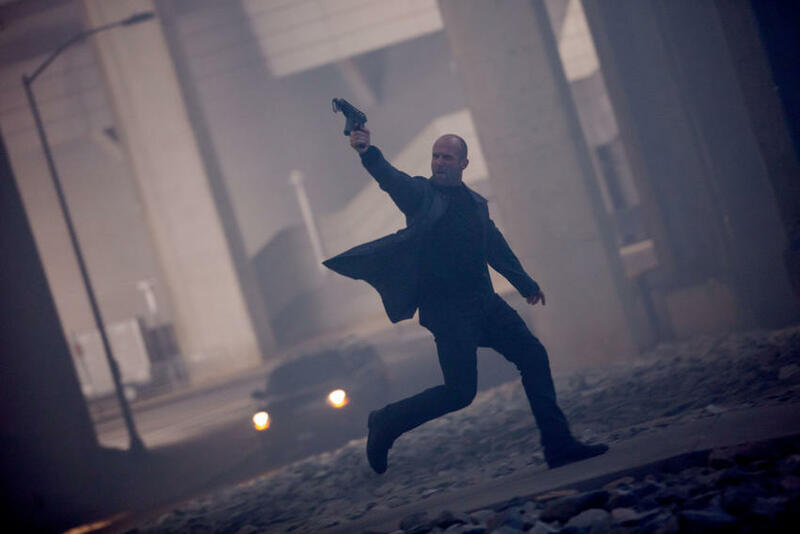 That plan will fail because Deckard Shaw (Jason Statham), an MI6 agent, wants to avenge the death of his older brother Owen Shaw. Shaw is an agent like James Bond and not easy to catch. The CIA agent Petty (Kurt Russell) knows a method. The Russians have kidnapped Ramsey (Nathalie Emmanuel), a lovely lady who is the inventor of the God's Eye program, with which every person can be traced. 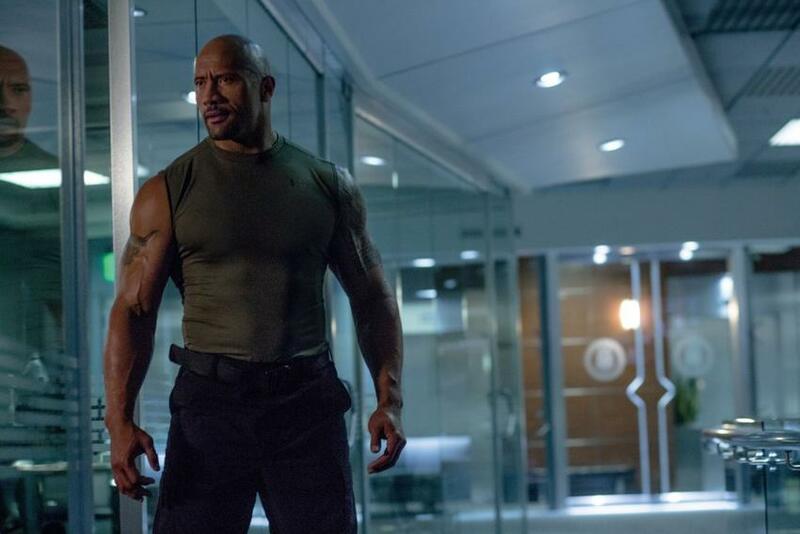 The Fast & Furious gang must free Ramsey, in return they use the program so that they can detect Deckard! As a blockbuster Fast & Furious 7 is perfect. The story is of course quite stupid and you have actors who can’t act, but in this movie they’re just perfect! Our verdict ? Excellent, but don’t try it at home! Uiteraard is deze release het paradepaardje van Universal. Kosten noch moeite zijn gespaard en dat zie je! Het geluid is met een DTS HD-MA 7.1-track overweldigend. De gierende banden lijken uit elke speaker te komen en dus meteen een ideale mogelijkheid om je buu manr te overtuigen van de kwaliteiten van je homecinema. De beeldkwaliteit is ook van een enorm hoog niveau. De auto’s blinken, en als je na 140 minuten de racewagens niet meer kan zien, kan je nog steeds naar de konten van de mooie dames gluren. Want jawel, ieder detail is tot in de puntjes verzorgd. Maar had iemand wat anders verwacht?